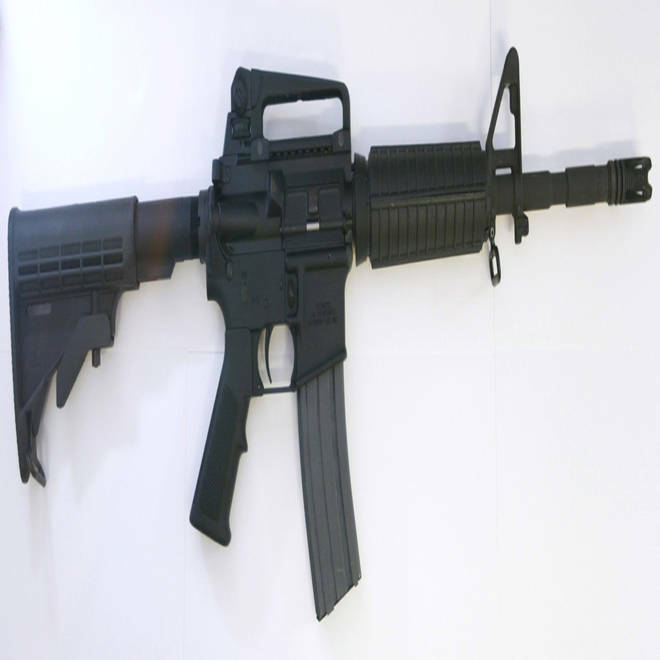 A Bushmaster XM-15 .223-caliber rifle, the type of weapon that authorities say Sandy Hook Elementary School gunman Adam Lanza used to inflict most of the fatalities. NEWTOWN, Conn. -- The three guns carried by the gunman in the bloody Sandy Hook Elementary School shooting were all purchased by his mother since 2010, law enforcement sources told NBC News on Tuesday. The sources, who spoke on condition of anonymity, said that Nancy Lanza, who friends described as a gun enthusiast, purchased the weapons legally over a three-year period, beginning in 2010 with a Bushmaster XM-15 .223-caliber semi-automatic assault-style rifle -- the weapon that authorities say 20-year-old Adam Lanza used to mow down the victims in Friday’s rampage. She then bought a 9 mm Sig Sauer pistol in 2011, followed by a 10 mm Glock pistol in January 2012. Both weapons also were in Adam Lanza’s possession during his attack on the school, and he used the latter to kill himself when police arrived on the scene, authorities say. Adam Lanza killed his 52-year-old mother at the home they shared before driving to the school and forcing his way in. Once inside, he killed 20 children and six adults before committing suicide, authorities say. In addition to the weapons recovered at the crime scene, including a shotgun recovered from the trunk of the car the gunman drove to the school, the Associated Press reported that authorities investigating the shooting recovered three other weapons -- a Henry repeating rifle, an Enfield rifle and a shotgun. It was not clear where those weapons were found. Meantime, the sources said investigators have found no evidence that Adam Lanza visited area shooting ranges in the last six months. Federal agents have been examining records at the ranges to see if Adam Lanza had been practicing his marksmanship in the months leading up to the attack, which could indicate that he had planned the massacre well in advance of carrying it out. Michael Isikoff is NBC News national investigative correspondent; NBC News’ Justice Correspondent Pete Williams also contributed to this report.